Here is the thing; MDC Alliance members went into the 2018 elections knowing that Zanu PF would rig the elections; they did not mind that as long as they won a few gravy train seats. They did win a few seats but have since realised that they could use the country's worsening economic situation to demand more of the spoils of power from Zanu PF. They want the country to have a new GNU in which MDC Alliance will hold ministerial posts. "MDC has stringent measures to stop Zanu PF rigging elections!" Nelson Chamisa said repeatedly. He was dismissing those calling for reforms to be implemented before the 2018 elections. MDC Alliance participated in the elections even when ZEC failed to release a verified voters's roll, a legal and a common-sense basic requirement -proof of their resolve to take part in the elections regardless how flawed and illegal the process. David Coltart admitted of this blind greedy stopping the MDC leaders doing the obvious thing! In his Book, The Struggle Continues 50 years of tyranny in Zimbabwe,former MDC – Ncube Senator and Minister of Education in the GNU, David Coltart, admitted that Zanu PF was flouting the electoral rules and it clear the upcoming 2013 elections would not be free and fair. He agreed that boycott the elections was the logical thing to do but the two MDC factions ended up participating because they could not trust each other to do the right thing. The main MDC factions did come together to form the MDC Alliance before the 2018 elections and still they participated in the elections regardless of the flaws and illegalities. Beside to boycott the elections in such a case will have to be out of principles and MDC leaders are not a principled lot. Tendai Biti is one of the MDC Alliance who did win some of the gravy train seats Zanu PF gave away as bait. He should be happy but he is not. 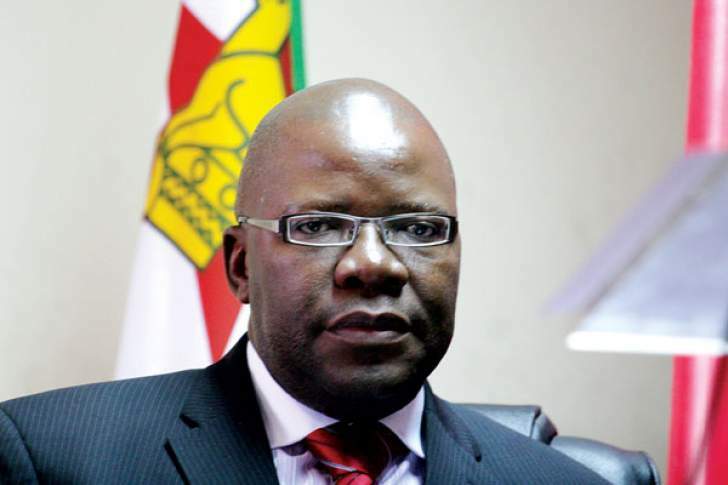 Tendai Biti is one MDC Alliance who is taking full advantage of the country's worsen economic situation to push Mnangagwa to form a GNU and thus secure for himself a ministerial position. "Thanks to Emmerson and that terrible iniquity known as #ZANU this year' s Christmas is stolen and hijacked. The citizen has no cash, no fuel, no basic commodities, not even sodas or cordials.Things were terrible under #Mugabe but Emmerson has redefined#StateFailure .He is #failure itself," tweeted Biti. I am sure a few Zimbabweans will remember 2008 when there was nothing in the shops and commerce and industry had ground to a halt as the country reeled under 500 billion per cent hyperinflation, price controls, etc. Being asked to say which year was worse is like being asked which is worse a broken hand or a broken leg. Why should we ever have to suffer! Comparing Mugabe and Mnangagwa is yet another meaningless nonsense. Zimbabwe's economic collapse started far back in 1980 and been a stead but relentless decline for the last 38 years. Of course things were "better" last year, 2017, than they are this year, 2018 just as they were better in 2016 than in 2017. This is as one would expect in an economic trajectory of stead decline. Robert Mugabe inherited from Ian Smith a prosperous nation with a robust economy, with a good industrial infrastructure, a very productive agricultural sector, etc. Zimbabwe had the potential to be the South Korea of Africa. But after 20 years or so of gross mismanagement, rampant corruption and lawlessness the country fell from its prised perch of being the breadbasket of the region to become the basket case of a failed state. We are starving in a country which is for all practical purposes the Garden of Eden! Whilst Mugabe inherited from Smith the seven fat cows and the seven fat ears of grain and loads of other riches beside. Mnangagwa inherited one thin cow that was all skin and bones. Tendai Biti is calling Mnangagwa "#failure itself" but praised Mugabe to the high heaven. He called the tyrant "unflappable father of the nation and fountain of all wisdom". Why? Tendai Biti is desperate to secure a ministerial seat and is stopping at nothing to pressure Mnangagwa to form a new GNU! The truth of the matter is the last GNU served Biti and his fellow MDC friends well. They secured ministerial posts complete with the generous salaries, limos, a $4 million Highlands mansion for Tsvangirai, a farm formerly owned by a white farmer for Welshman Ncube, etc. The GNU was a total failure for the ordinary Zimbabweans in that not even one of the raft of democratic reforms agreed at the onset were implemented hence the reason the 2013 elections were not free, fair and credible - the principle task the GNU was supposed to resolve. The new GNU Tendai Biti, Nelson Chamisa and the rest in the MDC Alliance are gunning for will not implement any of the democratic reforms to ensure the next elections are free, fair and credible. If they failed to get any reforms implemented last time, when SADC had Zanu PF's hands tied behind their back after Mugabe was forced to sign the Global Political Agreement, what hope is there now when Zanu PF is calling all the shots. The nation needs the raft of reforms implemented to progress out of this political and economic mess. What is clear is that the nation must appoint a new team, excludes both Zanu PF and MDC leaders involved in the last GNU, to implement the reforms. Mnangagwa is "#failure itself" true but so was Mugabe and you too Mr Biti and Nelson Chamisa, etc. Hence the reason none of you can be in the new GNU to implement the democratic reforms necessary for free, fair and credible elections in 2023 and beyond.